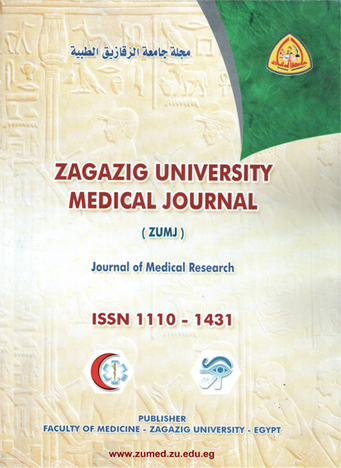 2Department of Radiology, Faculty of medicine, Zagazig University. Purpose: The aim of this study is to assess the role of Magnetic resonance imaging (MRI) and high resolution CT (HRCT) in patients with congenital hearing loss. Patients and methods: Sixty patients who having congenital hearing loss (CHL) will be included in our study. Full history taking, clinical examination, Oto-laryngology examination and audiological evaluation tests, MRI and non-enhanced HRCT. Results : The results of this study cannot be analysed from an epidemiological point of view due to the absence of a comprehensive repeated investigation, but they illustrate and clearly justify the need to perform a standardized aetiological work-up. HRCT was superior in detection of bony landmarks of the temporal bones. These findings were the shape and orientation of the petro-temporal bones, the patency of the external auditory canal (bony atresia), associated tympanic cavity and ossicular chain anomaly. MRI of the both temporal bones were accurate in detection of abnormalities in the membranous labyrinth and inner ear malformations. The use of balanced-Fast Field Echo (b-FFE) series on the internal auditory canals to evaluate the cochlear nerve. Our MRI studies were unable to evaluate the condition of the middle ear and mastoid cavity, which appears as intermediate and bright signals seen in both T1- and T2-weighted images. However, HRCT clearly shows the condition of the bone cavity and bone marrow of the tympanic cavity, and the pneumatization of the mastoid process if present. Conclusion : Imaging plays an important role in diagnosis and work-up of patients with congenital hearing loss. There are a whole lot of etiologies, many of which have typical findings on HRCT and MRI, which help in differentiation of these causes and therefore guides the treating surgeon in further management. Both HRCT and MRI are complimentary to each other and should be judiciously used by the radiologist in diagnosing the various congenital malformations.